We recently had the opportunity to style dessert editorials in two magazines, Portland Bride + Groom and Seattle Met Bride + Groom. Our images made both covers--both out at the same time! One was dark, organic and moody while the other was crisp and sleek with gold accents. Which do you like best?? If there is one thing we love, its getting creative and styling shoots for fabulous magazines! 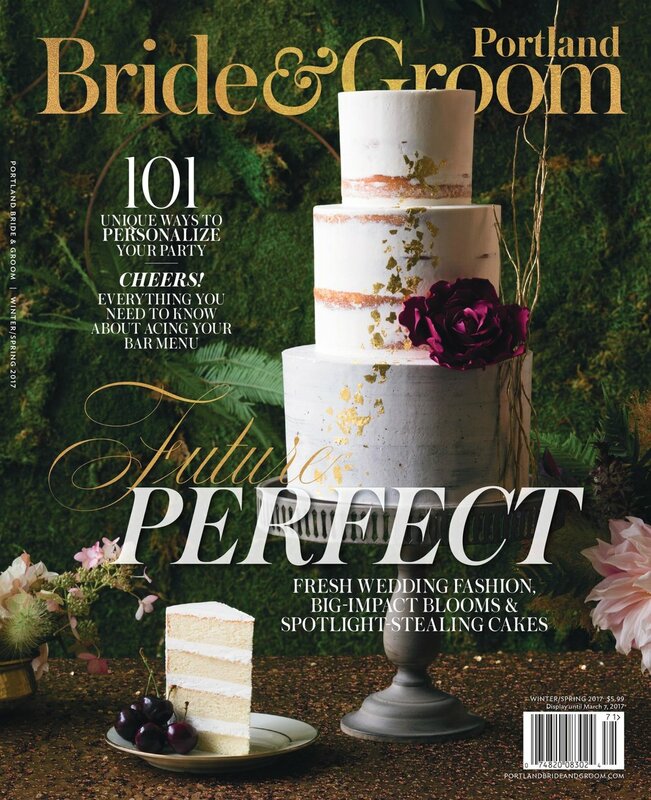 Molly + Elizabeth had the opportunity to work with Seattle Met Bride + Groom on a super glam and sleek dessert spread that spanned six pages in the magazine as well as the cover!